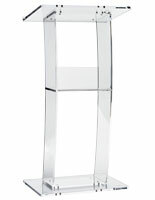 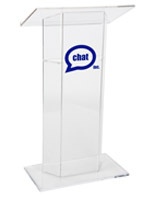 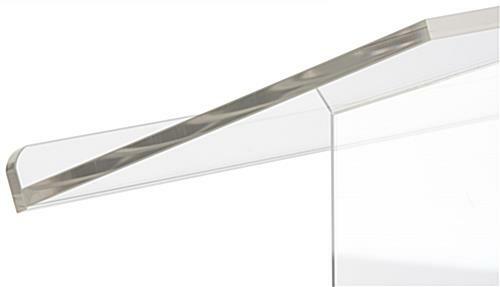 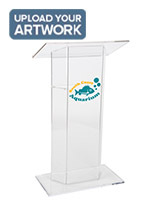 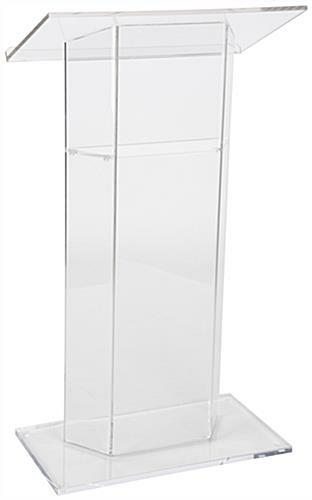 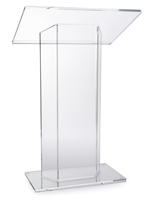 This clear acrylic lectern stand is a modern alternative to traditional wooden podiums. 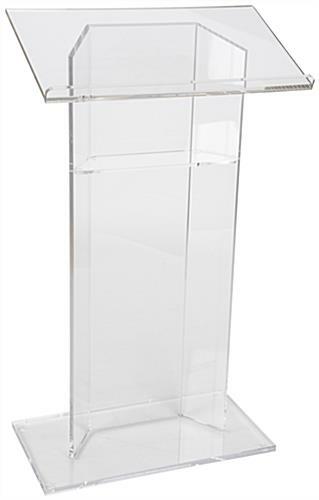 Each 47" tall reading pulpit is made from durable plexiglass and features a slanted top with deep 1" bookstop to hold presentation materials and notes. 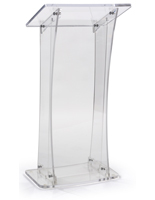 The modern design lectern stand with transparent construction is a perfect match for churches and other houses of worship as well as conference or business facilities. 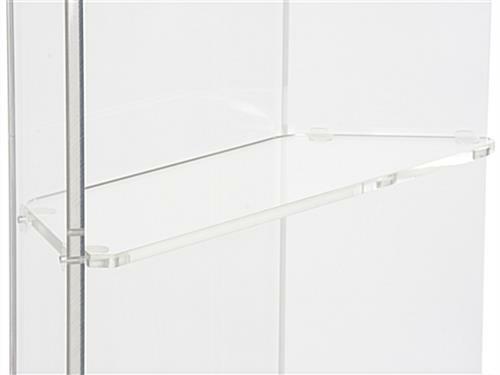 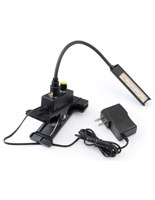 Each fixture has an interior shelf to hold presentation materials, personal items, or accessories as needed. 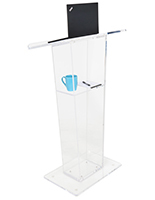 This lectern stand's modern design is a great choice for focusing audience attention on sermons, lectures, or public speeches. 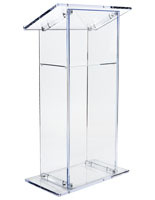 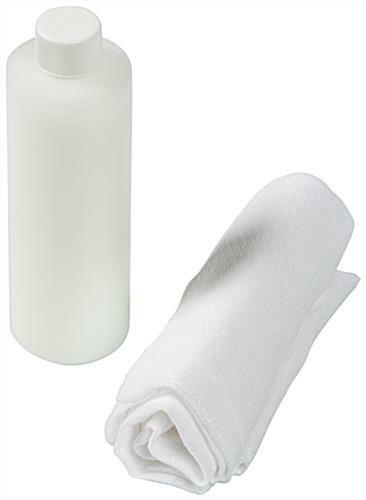 The transparent construction easily complements any facility decor and brings a contemporary feel to any environment. 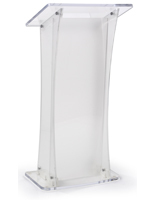 This versatile speakers' podium ships fully assembled for convenience.